In his explorations of human culture, Ace has come to understand many things. Despite disguising himself as a football fan, football isn't one of them. I believe his basic question is: "why does not one team merely kill the other and retain permanent possession of the coveted ball." More observation is obviously called for. 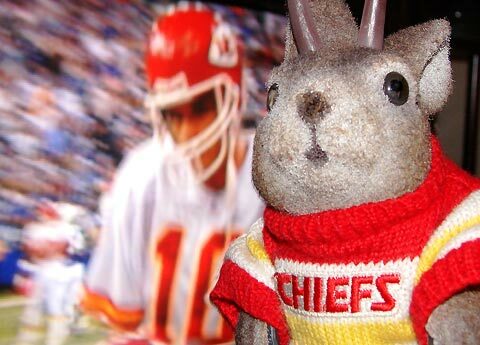 As to the Chiefs' imminent loss to Colts (it's the third quarter as I write this), veteran football fan L.V. Oxendine of Joplin, MO remarked: "It looks like the Colts coach is telling the Chiefs what to do." Always great to see pics of Tulsa. I happen to be a Tally's regular.